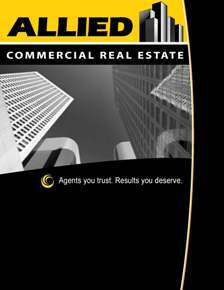 Allied Advantage - About Us - Allied Commercial Real Estate, Inc.
Allied Commercial is committed to providing our clients with innovative solutions to meet all of their real estate needs. We bring you extensive market knowledge and use our comprehensive expertise to provide the highest quality of brokerage services available to deliver the results you deserve. Our team provides acquisition, disposition, exchange, consulting and advisory services, specializing in local market areas and in nearly property types. Our focus and expertise in specialized areas allows us to have unsurpassed market knowledge and insight into market factors and trends, demographics, recent sales, employment and business growth, active buyer pools and more. We are not your typical commercial real estate company. When you join our company you are "in business for yourself but not by yourself." We offer the best compensation plans in the industry, hands down. We have three plans to choose from so no matter where you are in your career we can find a place for you. We believe that with our plans and platform you will have the ability to reinvest in your business and advance your career to the next level. We are currently enrolling agents in a four week intensive training program to help jump start any motivated individual into the Commercial Real Estate field. 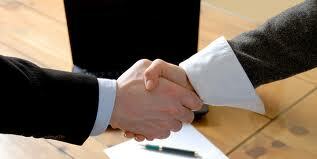 After successful completion of your training you are under no obligation to join our firm. However, should you decide to continue with our firm you can be matched up with a senior agent to work with on your first few deals before being sent out on your own. Contact us for more information on this program.